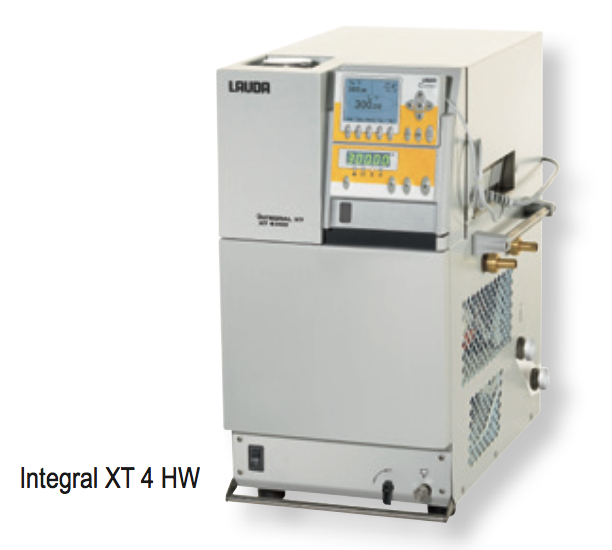 The LAUDA Integral XT high-temperature thermostats allow for a maximum working temperature of 320 °C. The process thermostats are operated using the Command remote control, which is already utilized in the other XT models. With the XT 4 HW and the XT 8 HW models, water-generated counter-cooling allows for quick cool-down across the entire temperature range from 30 up to 320 °C. Especially at higher temperatures, the water counter-cooling is very efficient and cost effective.